MnTAP partners with POTWs to alleviate concerns with wastewater loading by industrial users. By implementing equipment, material, and process changes, companies and POTWs can save money on the cost of treatment and discharge. Biochemical oxygen demand (BOD) is a measure of how much oxygen is required to biologically decompose organic matter in the water. Total suspended solids (TSS) is the total amount of suspended materials in the water. Both measure the strength of wastewater discharges. Industrial users get charged twice when waste goes down the drain, first in product loss and second in sewer or strength charges. You, as the POTW, may benefit from your industrial users implementing new equipment and processes to reduce the amount of waste being discharged. MnTAP offers the following resources to help you determine what equipment and/or processes might help your industrial users. For more information and case studies, visit MnTAP’s Greening Your Business Web pages on BOD and TSS Loading. Minnesota’s waters must be clean and healthy to sustain aquatic life and provide recreational use. Although phosphorus is a nutrient for plant growth, excess phosphorus can speed up the aging process of lakes and streams by stimulating algae growth. Algae blooms are unsightly and create high biochemical oxygen demand (BOD) as the algae decomposes and uses up available oxygen supplies, sometimes threatening the survival of fish and other aquatic organisms. The majority of phosphorus loading comes from non-point sources during high rainfall periods causing significant runoff from agricultural lands. During these high flow periods, the Minnesota Pollution Control Agency’s (MPCA) monitoring data has documented that only 10% of total phosphorus comes from point sources. But during low flow or low rainfall conditions, point sources contribute as much as 64% of total phosphorus to the river basin. These point sources include wastewater treatment plants and industrial dischargers. Industrial sources of phosphorus include food processing, phosphatizing, and cleaning operations. As you receive or anticipate phosphorus effluent limits in your wastewater permit, turn to your commercial and industrial users and ask them to reduce the volume of phosphorus in their wastewater. To do so, it is important that you first identify and then reduce sources of phosphorus in your facility to minimize the amount of chemicals needed to treat the phosphorus before discharging to Minnesota’s lakes and streams. Business users that are likely to contribute phosphorus to your POTW can include agricultural co-ops, car/truck washing facilities, dairies, food processing plants, meat packing plants and lockers, metal finishing facilities, municipal water treatment plants that add phosphorus to drinking water, nursing homes, restaurants, schools, and other institutions. Additionally, industrial cleaning and sanitizing operations in any facility may result in high discharge levels of phosphorus. MnTAP developed a fact sheet, Phosphorus: Reducing Releases from Industrial Cleaning and Sanitizing Operations (2009), to address this concern and provide information about alternatives. If you are concerned with the amount of phosphorus being discharged to your facility, help your industrial users identify their processes that contain phosphorus. Once those have been identified, the company may be able to talk to the chemical supplier to discuss alternatives that either contain low levels or no phosphorus at all. MnTAP has helped several facilities reduce their phosphorus discharges to POTWs. MnTAP Checklist:Phosphorus reduction opportunities walkthrough checklist (2008). Review the suggestions on this checklist with your business users to identify strategies to reduce phosphorus discharge from their operations. Metal Finishing:Metal Phosphatizing Operations (2009). This fact sheet provides information on processes that result in high levels of phosphorus discharge and provides examples of alternatives including equipment, chemicals, and treatment options. Food Processing:Phosphorus: Reducing Releases from Dairy Processing Facilities (2009) and Phosphorus: Reducing Releases from Meat Packing Operations (2008). 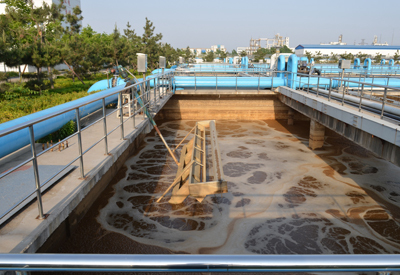 In dairy and meat packing operations, cleaning production lines, scraping food preparation vats, cleaning and rinsing equipment, and rinsing product and floor cleaning chemicals down the drain are all ways phosphorus enters wastewater. Food Processing:Phosphorus: Reducing Releases from Poultry Processing Plants (2008). This fact sheet outlines a number of steps that can be taken to reduce phosphorus discharge from poultry processing plants. Other: Reducing Phosphorus on University & College Campuses (2009). This fact sheet provides a number of ways to assess and reduce phosphorus use in various campus departments. Other: Phosphorus Reduction from Businesses: Using a City-wide Inventory (2006). The Cities of Brainerd and Baxter conducted a city-wide inventory of businesses discharging phosphorus. By providing technical assistance and outreach to those businesses, the cities reduced the amount of phosphorus used and discharged to wastewater treatment facilities. Coating Process: Minnesota Elevator Benefits from Switch to a New Coating System (2010). MEI evaluated alternatives to the iron phosphatizing chemical and switched to zirconium oxide (nano-ceramic) conversion coating, which is phosphate free, used at ambient temperatures, and does not require a seal rinse. Coating Process: Intern at Arctic Cat Reduces Water, Energy, and Chemical Use (2009). The company reduced their phosphorus concentration in the iron phosphate stage by limiting chemical additions to the system and using just the chemical that was already in the tank. Food Processing: Sunny Fresh Foods (pg 4). This food processor worked with its cleaning and sanitizing vendors to reduce its phosphorus effluent by 80%. Other Manufacturing: Ver-tech Labs Reduces Phosphorus in Wastewater Discharge (2008). The facility engaged employees and worked with the City of Rockford to reduce phosphorus, BOD, and TSS in wastewater. Other Manufacturing: Electrolux Reduces Phosphorus 86% (2005). Electrolux converted the wash stage on its two paint systems to non-phosphorus chemical cleaners and sealant solutions to reduce the phosphorus going to its POTW. The permits and regulates wastewater discharges to lakes, streams, wetlands and other surface waters. State Disposal System (SDS) permits regulate the construction and operation of wastewater disposal systems, including land treatment systems. Together, NPDES/SDS permits establish specific limits and requirements to protect Minnesota’s surface and ground water quality for a variety of uses, including drinking water, fishing and recreation. Access permit forms through links on the Minnesota Pollution Control Agency Web site. If you are a wastewater treatment facility, your NPDES permit may require that you develop a Phosphorus Management Plan (PMP). If you do not have a permit requirement to develop a PMP, you may find it useful to develop one. PMPs are intended to help you understand the inputs of phosphorus to, and treatment capabilities of your POTWs, and evaluate pollution prevention and POTW optimization options that can lead to reducing the amount of phosphorus discharged to Minnesota receiving waters. Your facility’s NPDES permit may include an effluent phosphorus limit. The provided by the MPCA can help you reduce the amount of phosphorus entering the wastewater collection system and optimize the phosphorus removal capabilities of your POTW with potential cost savings for both you and your industrial users. MPCA Guidance Document: The Phosphorus Management Plan (PMP) Guide. This guide can be helpful in preparing a PMP for internal use to gain a better understanding of your phosphorus levels and to outline ways to reduce phosphorus. If you are required by your National Pollutant Discharge Elimination System (NPDES) permit to submit a PMP to the Minnesota Pollution Control Agency (MPCA), this guide can be used to prepare it. MnTAP Case Study: City of Browerville Develops PMP (2003). Using a PMP, Browerville laid out a plan to reduce phosphorus discharges to its wastewater treatment ponds. The MPCA requires a Mercury Minimization Plan (MMP) for some industrial facilities with industrial stormwater, hazardous waste, or air quality requirements. A MMP should be designed to identify all potential sources of mercury, manage mercury so that it is removed from the water, and remove and dispose of mercury-containing devices from the facility. The Northeast Waste Management Officials’ Association (NEWMOA) provides a Mercury-Containing Product Database to aid in identifying mercury sources. MMPs should work in conjunction with your facility’s Stormwater Pollution Prevention Plan. The MPCA offers the MMP form, a Mercury Minimization Plan Checklist to help facilities comply with the program requirements, and other mercury-related resources. Some wastewater loading concerns come from metals contained in the wastewater discharged from industrial users. Metals such as nickel, molybdenum, and zinc can be discharged into the wastewater streams and make it harder to process for POTWs. MnTAP can help you identify the source of metals found in wastewater loading and work with industrial users to reduce the amount of metal in the discharge. These metals can end up in biosolids, potentially exceeding ceiling limits and making it difficult to land apply biosolids. MnTAP Intern Presentation: Zinc Reduction and Paint Room Optimization at Lou-Rich [PDF 648KB]. A MnTAP intern examined ways to eliminate zinc from the wastewater stream at Lou-Rich.